It is effective to use liquid fertilizers and additives to grow beautiful stem plants. Stem plants grow well with nutrients in the substrate and CO2 supplied. In addition, stem plants need calcium and other trace elements. 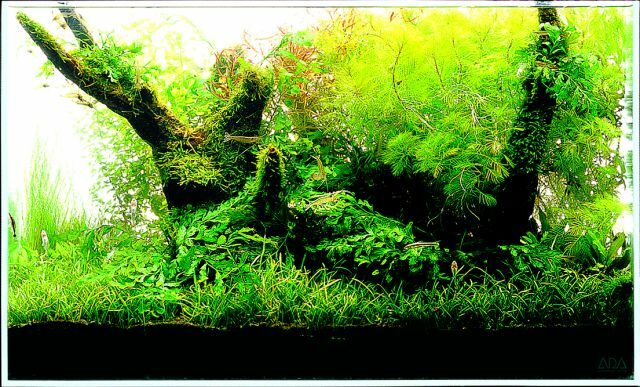 In a newly set up planted aquarium, aquatic plants do not grow much and water quality is unstable. One of the first things to do is to establish beneficial bacteria colony as biological filtration. 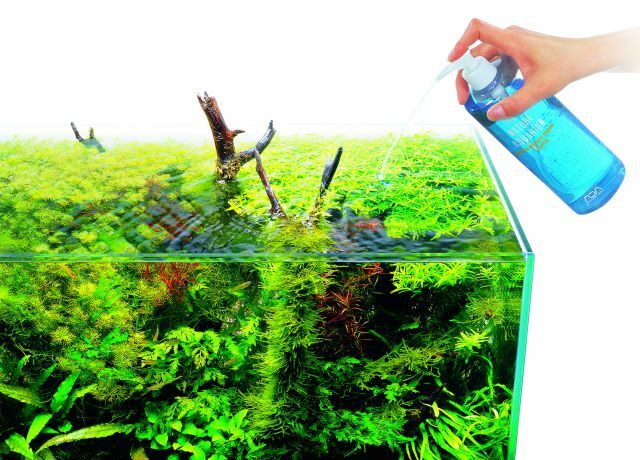 Once the aquatic plants start to grow, add potassium and trace elements to aquarium to promote the growth of healthy leaves. Apply an appropriate amount every morning. Right after trimming, the growth of aquatic plants are temporary suspended. 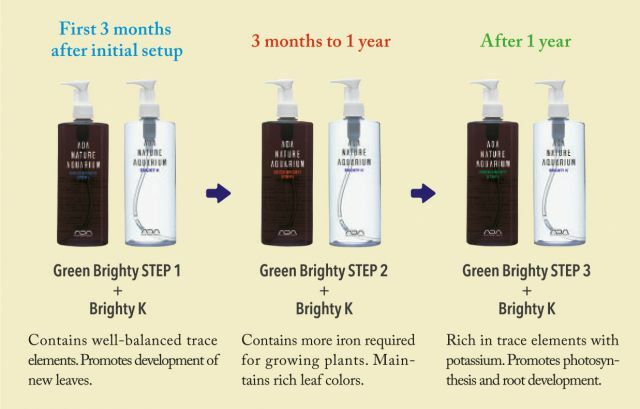 Apply Green Gain which contains botanical hormone to promote the development of new buds. 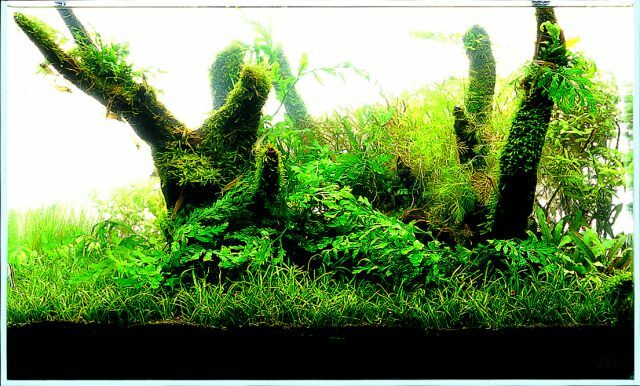 Aquatic plants grow densely in this period. Their colors will become vivid by supplementing more iron particularly with other trace elements. Appropriate amount of trace elements and calcium differs depending on the condition of aquatic plants. For healthy growth of aquatic plants, trace elements should be given in a good balance when aquatic plants grow vigorously. When plants are thriving, more iron is required in addition to other trace elements. When the aquatic plants mature, supplementation of potassium is advantageous. 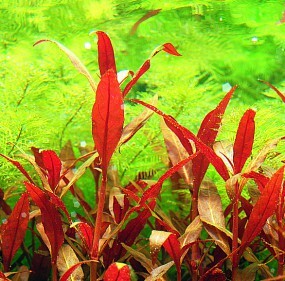 Nitrogen and iron especially affect the red color of aquatic plants. Unlike nitrogen which is always supplied from substrate and fish waste, iron is prone to be insufficient in planted aquarium. Adding iron-rich ADA ECA helps plants to produce vivid red color. 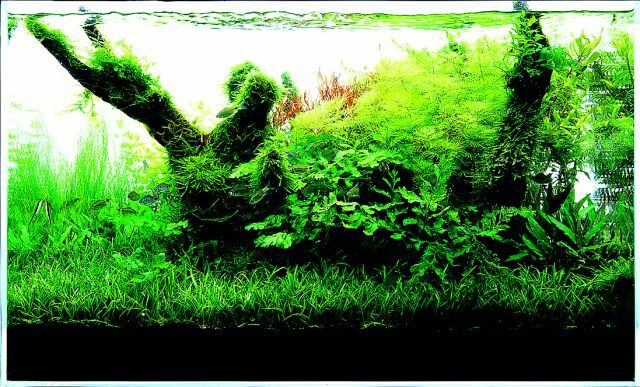 When aquatic plants thrive in an aquarium only with a small number of fish, the nitrogen in the aquarium becomes insufficient, which may affect the growth or colors of aquatic plants. 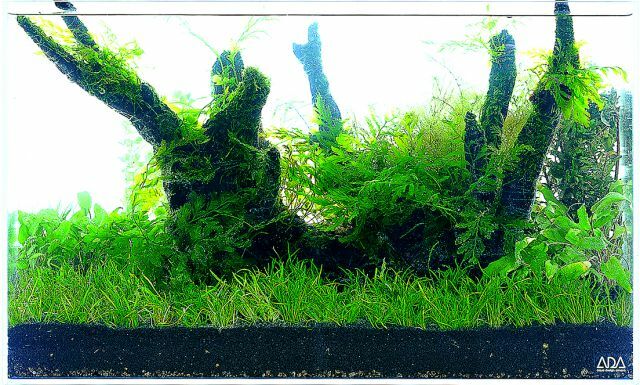 Green Brighty Special containing nitrogen improves the plant growth and colors.